AUSTIN, TX — Out in the most lonesome stretches of West Texas, that vast land spanning the Big Bend, the Trans-Pecos and the rugged Davis Mountains, everything is few and far between: houses, people, even radio signals. But as a traveler approaches the town of Marfa on the high desert, a radio station comes through loud and clear, carrying the sounds of Morning Edition, local news, and other familiar sounds of public radio. One of just three stations in this isolated corner of Texas, Marfa Public Radio (KRTS) has been around not even a decade. Now, it is building out its news offerings, serving rural Texans with complex and serious stories while also reaching a wider digital audience—and finding financial support from far afield, too. The little station with the big signal offers a blueprint for how to build and grow serious public media from scratch. Population 1,819, Marfa is an unusual town in an unusual place even by Texas standards. 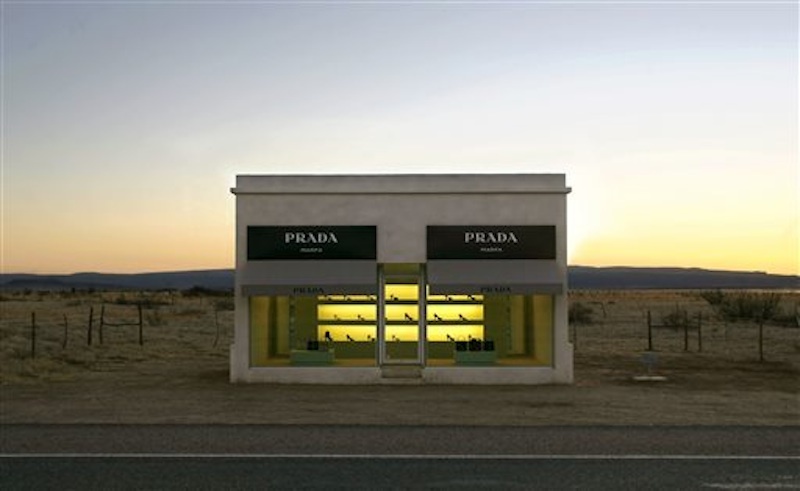 Part cowboy town, part artist colony, and increasingly all hipster haven, Marfa is the county seat of Presidio County—a nearly 4,000 square mile-span with fewer than 8,000 inhabitants, where it can snow in the mountains and be blazing on the grasslands at the same time. The nearest airports are some 150 miles away. With its mysterious nighttime luminescence, known as the Marfa Lights, the town lies on a starkly beautiful stretch of nowhere. A grant from the Corporation for Public Broadcasting was crucial for the launch; local advertising rates were so cheap that a commercial enterprise might never have made it. And while local citizens donated money, there weren’t enough locals to fund the venture on their own. Each year, Michael competed for a share of federal grant money. The upstart Marfa station eventually won $150,000 yearly. Then came spring 2011 and the Rock House fire—the largest grassland wildfire in the history of Texas. The station was transformed from a sleepy broadcaster of local interview shows and National Public Radio staples into a key breaking-news provider in the face of a natural disaster that engulfed more than 300,000 acres. Volunteers filed reports. Police phoned in to announce road closings. Individuals called to offer heavy equipment over the air. Big-city Texans who visited Marfa, or just had a soft spot for the rural outpost being transformed by boutique hotels and art galleries, began to chip in financially. Today, the station’s financial lifeline is foundations and individual members not in West Texas, but in Austin, Dallas-Ft. Worth, and Houston. Grants from foundations and individuals accounted for about $900,000 last year, far more than the allotment of taxpayer money. In addition to a digital presence, KRTS has taken over a repeater in Odessa, 150 miles away. And as the station has increased its reach, which now covers an area about the size of West Virginia, and deepened its original news offerings, it has also built up a small full-time news staff. A former intern, Travis Bubenik, 25, serves as morning anchor and reporter. Lorne Matalon, who worked in Mexico City for PRI’s The World, reports on the US-Mexico border for the Marfa station and others around the country as part of Fronteras Desk, a collaborative Local Journalism Center supported by the CPB. Interns research and write blog posts. Everybody files reports on air and online, takes pictures, and tweets. Colleagues edit each other, and the staff pitched in on a hasty move to new quarters when the station’s lease was suddenly up—a result of the town’s ongoing gentrification. Michael wears three hats: general manager, de facto news director, and reporter. His tiny crew dominated the small market category last year in the regional Murrow awards. Even when there’s no wildfire blazing, there’s plenty of news. On a recent Friday, a Hudspeth County court in Sierra Blanca is refusing to hear federal drug cases; the first gay marriage in Texas has just taken place in Austin; the Prada art installation in Marfa is under repair after being vandalized by a Waco man, and electricity is finally coming to the tiny Mexican town of Boquillas, a quarter-century after concerns about Peregrine falcons in the US stalled electrification across the Rio Grande. But there are complicated stories, too, that have remained mostly out of reach for the small staff. One is about limited access to healthcare in what is still one of the nation’s poorest county; specialized medical services might mean a drive to El Paso, three hours. Then there is the perennial question about diversity, one that dogs all of public radio but is especially salient in Marfa: Does the station offer enough to Hispanic listeners, who make up more than 80 percent of the county population? Or is it geared for Anglos in the suburbs of the big cities, listening in their crossovers and SUVs? Some shows include people talking in both Spanish and English—common in everyday conversation on the border. Michael maintains that most Hispanic residents in this part of Texas are as proficient in English as Spanish, if not more so. He is increasingly interested, though, in telling a tale that crosses ethnic lines: income inequality. He notes the private jets landing at the airport, the rising real estate prices, and the struggle of local people to afford housing. Beyond those weighty subjects, there’s always something unique and quirky to cover in Marfa. On that recent Friday, after Bubenik finishes the morning shift, it is intern Anna Rose MacArthur’s turn to host “Talk at Ten,” with local musician and artist Washtub Jerry, who has a new exhibit fashioned entirely out of old electronics over at Building 98. The echo of the art gallery is clearly audible, but she teases out of him what he’s trying to say, the irony and humor of clunky old computer parts, switches, and telephones. Then the show is over, and Jerry Lee Lewis, Creedence Clearwater Revival, and Carole King waft over the high desert for a while. Richard Parker is an award-winning journalist and the author of Lone Star Nation: How Texas Will Transform America, from Pegasus Books. Follow him on Twitter @Richard85Parker.